Whether it’s capturing every moment via smartphone or hiring a professional photographer to document life’s events, looking photo ready has become a higher priority for the general population. As a makeup artist, I do client’s makeup for photos all the time, headshots, family photos, senior photos, etc. While I think it’s ideal to hire an experienced artist for your session, should you find yourself needing to create a camera-friendly look on your own, I got you. 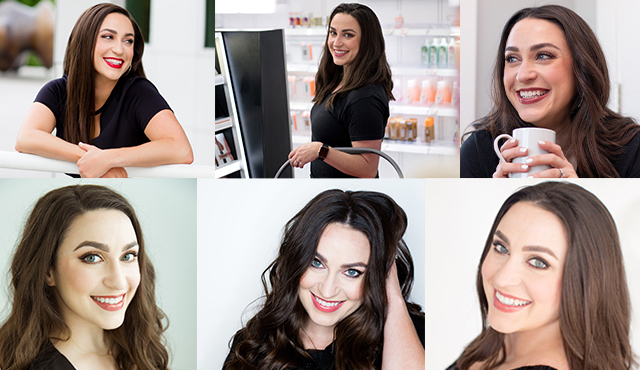 While some things will vary based on the type of photos you’re having done, professional headshots vs. boudoir for example, these are the basic techniques I use in makeup for photos. A great basic look would be a matte mid tone shadow in the crease, a lighter matte on the lid and a soft, smudged out brown or black liner. Matte eyeshadows will photograph better than shimmers. They are the safe way to go. If all you have is sparkle, a matte bronzer can look really pretty as eyeshadow, especially in the crease. Color wise, warm neutrals like tan, taupe, mauve, etc. flatter most eye colors. Avoid anything gray as it will do nothing for your eye color. Honestly, I plan to write an entire post about why I hate gray eyeshadow, but that’s a story for another day. If you don’t usually wear eyeliner, try a dark brown pencil, try to get the line as close to your lashes as possible and smudge it out so it’s soft. On the lower lash line, choose a mid or dark tone shadow vs. a liner to avoid a hard edge. Liner should thicken and define your lash line. A thinner line will always photograph more naturally and when in doubt, smudge it out. If your eyes are red and/or you want to make them look bigger, use a flesh tone, but not white eyeliner in your waterline. The NYX Wonder Pencil is great for this. Lifted lashes are like opening the curtains to the windows of your soul. Open yours by using an eyelash curler followed by your favorite mascara. Even if you don’t usually apply mascara to your lower lashes, I’d suggest it for photos. Your lashes frame your eyes and defining the bottom lashes as well as the top creates balanced definition. My favorite lash curler of all time is this one from Kevyn Aucoin. I have a tutorial on how to use it here. If you’ve never applied false lashes, today is not the day to try. Photographers will curse you as they try to finagle a lash strip that is lifting up in your photos or shiny glue. The outer third of your eyebrows can get lost in photo lighting so it helps to reinforce them, even if you don’t normally. If done properly, defining your brows can make your forehead look smaller and your nose appear thinner. If you already have a decent amount of brow hair, a powder is all you need. If you lack brow hair, a pencil will help to recreate the hair strokes. When choosing a color for your brows, look at the roots of your hair. Remember: very few people have warmth in their brows and an ashy taupe tends to work well for most. Anastasia Beverly Hills line of brow products have the most accurate color range I’ve found. Taupe works well for blondes, Soft Brown for light brown or dark blonde hair and Medium Brown for brunettes similar to myself. Even if you don’t normally wear foundation or concealer, you’ll want to even things out and conceal redness. Photographers are often talented editors but redness is one thing they say is a challenge, no matter want. If you are especially prone to redness, either from rosacea or just perma-rosy cheeks, try this primer from Stila. It’s amazing for canceling out redness, allowing you to use less foundation. I recommend a satin finish foundation, set with translucent powder. Most BB and CC creams have SPF so be careful with that as flash photography can create a white cast. Unless you are extremely oily, meaning shiny within minutes, avoid super matte finishes. Your face should have some luminosity and dimension to it. Take what is left on your foundation brush, sponge or hands and make sure to go under your jawline and down your neck if need be. Better to be wearing makeup on your neck than to have a floating head in pictures! AMIRITE?! Applying foundation and concealer with a damp beautyblender will ensure you have no brush strokes and give you as close of an airbrushed finished as possible. I don’t really know anyone getting a full 8 hours of sleep at night so we can all use a little under eye brightening. If you find that your under eye circles are really pronounced, instead of layering on tons of concealer, use a color corrector first to knock out the initial darkness. For blue/brown circles, choose a peach like Becca Under eye Brightening Concentrate and for purple/red, use a yellow. For blush, placement is going to be key for adding lift to the face. Focus on keeping blush above the end of your nose, sweeping up and back. It doesn’t always work to smile and apply since our cheeks often raise when we smile, and drop back down when serious. If you’ll be taking some serious photos sans smiles, this is definitely something to consider. If you’re feeling like a pale whale, a light, matte bronzer can help to warm up the complexion but use a light hand. We aren’t try to give ourselves a full face tan. Look at the high planes of your face, where the sun would hit first and naturally be darker, i.e. the top of the forehead/headline, temples, cheeks. Skip the shimmery highlight. It will likely reflect too much light and cause more of a bright white spot (a nightmare for photographers to edit). 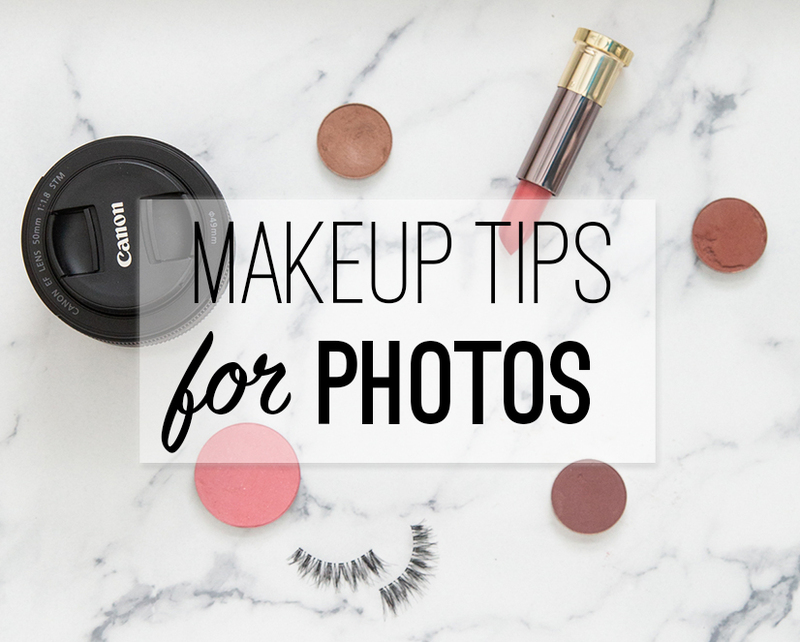 It can also accentuate the texture of skin in photos so I’d make sure your blush or bronzer isn’t sparkly. A setting spray will not only keep your makeup perfectly in place but helps to mesh all of the makeup together better, giving everything a more skin-like finish in the end. If you’re a bold lip person on the regular person, go for it, but if not, a shade 1-2 shades darker than your lip color is a safe bet. I’ll list a few below that I really like in photos. A super matte lip can photograph flat but super glossy lips can create too bright of highlights and get stuck in your hair. A cream lipstick is a good bet. Avoid metallics/frosts. If you’re concerned about longevity with your lip color, apply a more long wearing liquid lipstick and then apply a cream lipstick to the center so that your lips still have a little hint of sheen but the staying power below. Lip liner is a great way to define your lips and give your smile all the focus. As we age, the lip line can get a little receded and blurry (omg, so fun right?!) so a liner can help define that shape and highlight your best asset in any photo-your smile! Choose a shade that matches your lip color or is only slightly darker. Stick your index finger in your mouth and pull it straight out. If you have any lipstick on the inside of your lips, this will remove it, preventing it from getting stuck on your teeth. Remember to use a (stainless steel or plastic!) straw if you’re drinking a beverage before your shoot to prevent your lipstick from getting destroyed. If you notice shine, instead of powdering, use a blotting sheet to absorb excess oil without adding additional layers of makeup. If you have a cold or allergies and need to blow your nose, make sure to bring a little concealer or foundation with you to touch up in case. Take a photo of yourself facing a natural light window to evaluate your makeup before calling it good. Aging is a privilege denied to many. If you have laugh and smile lines, how lovely that you have laughed and smiled! If you have children, they will love these photos of you someday no matter what you think of them. I promise you that. If your smile is real, nothing else will matter. Celebrities are photoshopped and Photoshop is a privilege you have access to as well. Makeup will get you to the finish line and lighting and editing will take you across it.